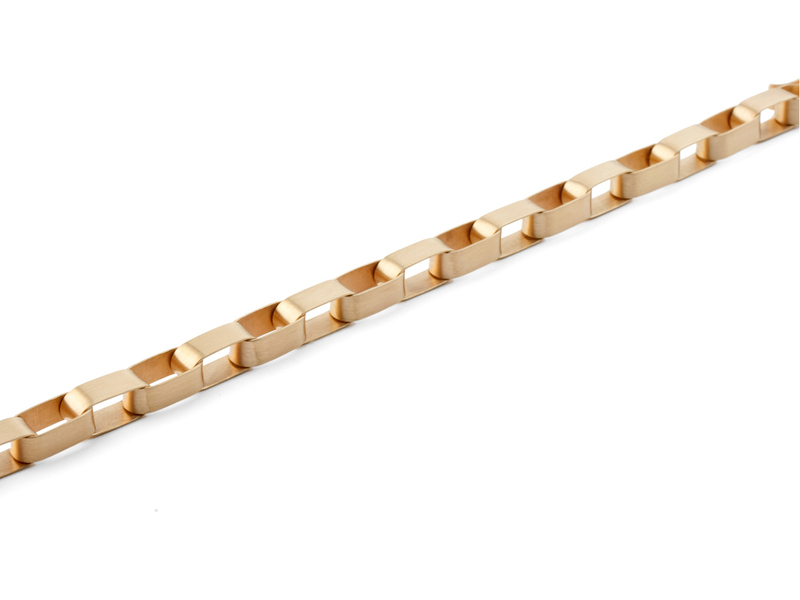 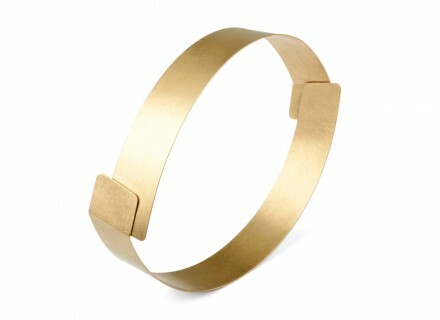 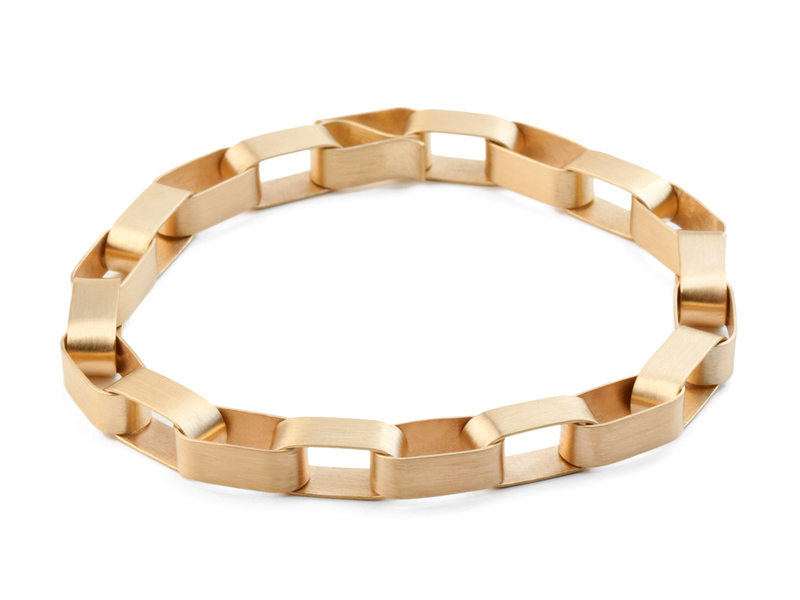 The smooth, rectilinear links in the bracelet “Parallel 11” interconnect to form an elegant chain. 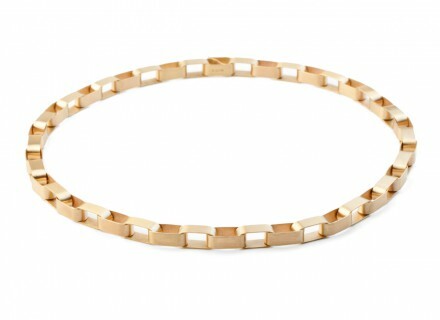 Smooth curves and flat surfaces come together in this elegant collier. 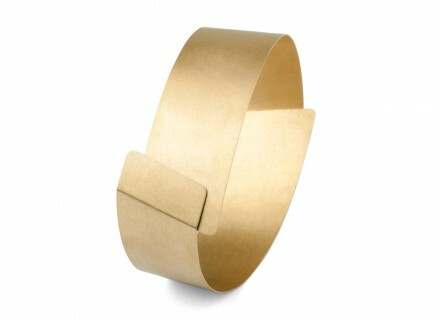 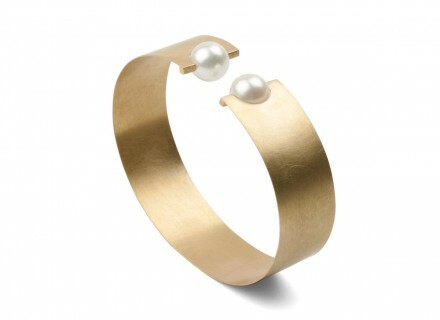 The bracelet can also be used to extend the necklace. 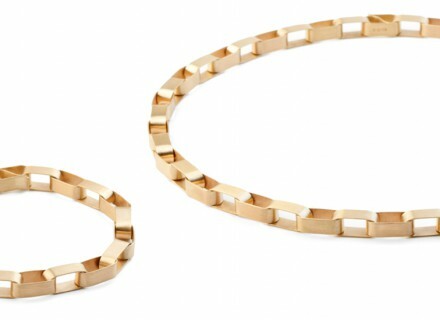 The perfectly formed closure merges harmoniously with the links in the chain.